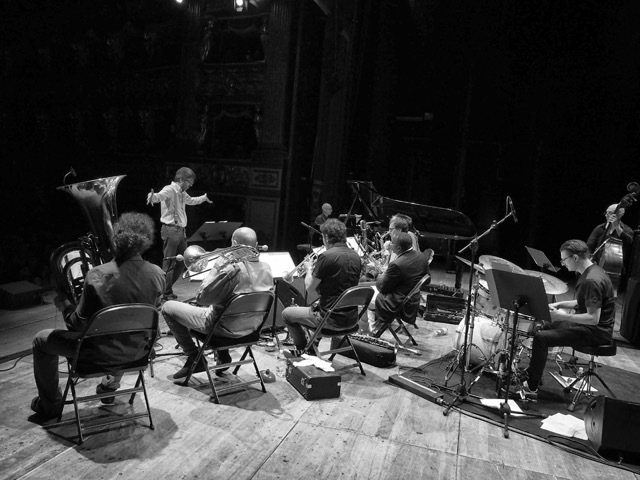 THE LYDIAN SOUND ORCHESTRA The Lydian Sound Orchestra was formed in 1989 by Riccardo Brazzale (born in Thiene, Italy – 1960), renowned in the field of jazz as a musician (arranger, composer, conductor, pianist), scholar, teacher and promoter. The L.S.O. is an atypical medium-band with six wind instruments and rhythm section (inspired, for example, by Miles Tuba Band, Monk Town Hall Orchestra and Mingus Black Saint Band). The band’s prime focus is on re-working of tradition with a contemporary approach, and on a compositional technique the main goal of which is to highlight live spirit as well as work-in-progress between performers. The L.S.O. repertoire has often been broadcast by Italian, European and American radio stations and has also been widely acclaimed by Italian and international journalists and critics. 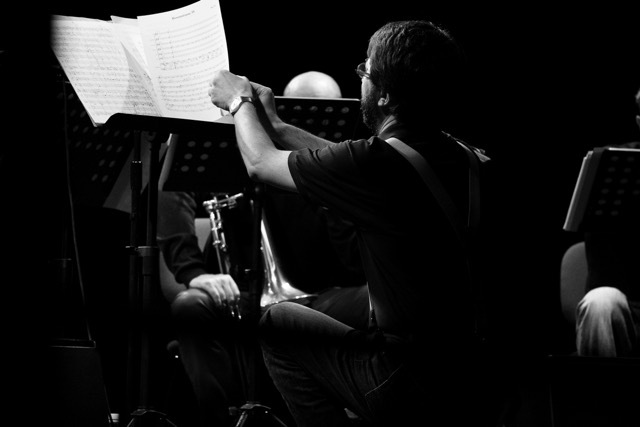 It includes re-workings and tributes to traditional jazz, original music and Italian composers. The L.S.O. performed in many jazz and classical contemporary music festivals, as well as in theatre events and cultural meetings, both in Italy and in Europe, recording for Rai Radio Tre (national broadcast) and producing many independent records. In the last few years the line-up featured Robert Bonisolo, Mattia Cigalini, Rossano Emili (reeds), Gianluca Carollo, Fulvio Sigurtà, Roberto Rossi and Glauco Benedetti (brass), Paolo Birro (piano), Marc Abrams (bass) and Mauro Beggio (drums). Many young musicians as well as outstanding Italian and international musicians played together with Riccardo Brazzale and his L.S.O. during the years: Enrico Rava, Palle Danielsson, Claudio Fasoli, Gianluigi Trovesi, Ralph Towner, Kenny Wheeler, Franco D’Andrea, Manfred Schoff, Pietro Tonolo, Paul Motian, Terrell Stafford, Charles Mc Pherson, Julian Arguelles, Dave Liebman, Don Moye and Mingus Dynasty, Paolo Fresu, Dave Murray, only to name but a few. In the last years, according to “Top Jazz”, the chart published by the historical magazine Musica Jazz, L.S.O. has been named one of the most outstanding groups on the Italian jazz scene; Top Jazz also named Riccardo Brazzale as “arranger and composer of the year” in 2008.